International journalist Omar El Akkad was born in Egypt, raised from age 6-16 in Qatar, then moved to Canada where he worked for “The Globe and Mail” for ten years. He covered the Arab Spring in Egypt and reported from Afghanistan, Guantanamo Bay and Ferguson, Missouri. Now El Akkad lives in Oregon. He has had a vision of our future and it is not pretty. 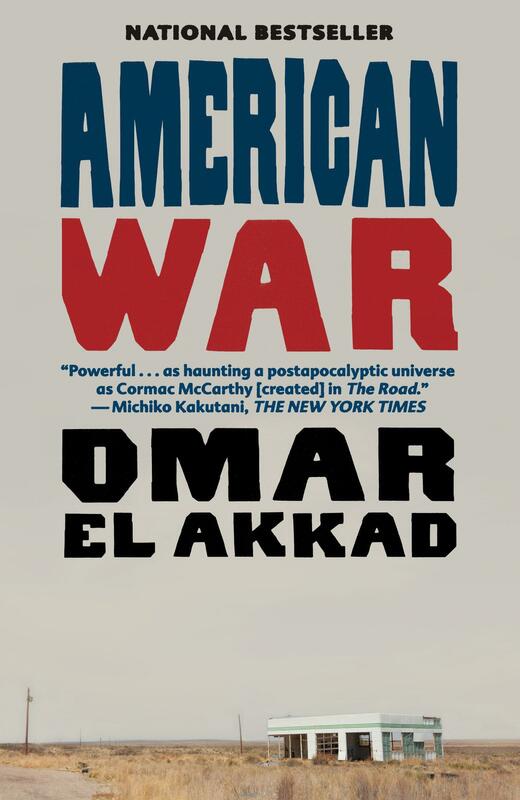 His chilling, convincing debut novel, “American War,” opens in the year 2075 in Louisiana. Quickly we learn that the situation is dire. Global warming has caused the seas to rise. There is no more New Orleans, there are no Florida Keys, no Miami, in fact no Florida at all. Augusta is now the port city for Georgia. The weather is so warm, the soil so baked, that almost nothing will grow south of Tennessee. Oranges grow in Michigan. In the South, some food is grown in vertical farms, hydroponic and controlled. Snow is rare in Alaska. The label “dystopia” is insufficient. The worlds of “1984” or “Brave New World” look Edenic by comparison. And, there has been another American Civil War. When it became clear they were warming the planet, the federal government, now located, of necessity, in Columbus, Ohio, banned fossil fuels. The Deep South refused to go along with this, refused to give up the oil and gas industry. Fossil fuels, like the cotton of the first Civil War, were a major export and source of wealth. On October 1, 2074 the South seceded, again, fought, again, and lost again. But in 2075 the territory now known as FSS, the Free Southern States, also known as MAG—Mississippi, Alabama and Georgia, capitol in Atlanta, is surrounded and can only launch raids, guerilla strikes against the USA. Maps included in the book add verisimilitude to this highly speculative novel. In the confusion, Mexico has retaken its historical territory, right up to the Oregon border. There is still fighting in East Texas, and the state of South Carolina, infected with a kind of sleeping sickness, literally has a wall around it to keep it quarantined. The book’s ostensible narrator, a historian writing in the twenty-second century, has possession of the diaries of Sarat Chestnut, our heroine, who was only 6 years old in 2075. Through her diaries we learn of the next twenty years. The name is an homage to Mary Chestnut of Charleston, whose diaries gave historians so much day-to-day information about the first American Civil War. Sarat is unusual in many ways. The child of an African-American mother and Mexican father, she is smart, strong, fierce and will grow to be 6 feet 5 inches tall and preternaturally strong. Louisiana, their home place, has become a kind of no man’s land. The family lives in a disused shipping container and drinks rainwater. When her dad goes to Baton Rouge to seek a work permit for the U.S., he disappears, perhaps killed as a perceived traitor to the cause. Life, already difficult, gets worse. Soon Sarat and her family are in a giant camp for displaced persons in Iuka, on the Mississippi-Tennessee line. Conditions are squalid, filthy, violent, hopeless. El Akkad means for Camp Patience to remind the reader of the Palestinian refugee camps in Lebanon, filled for decades after the Arab-Israeli wars. Southerners in this camp, and indeed all over the South, are kept alive by charity ships bringing aid from the Chinese Empire and the Bouazizi Empire, a global power formed after several failed Arab Springs. Finally, democracy prevailed and the north African and Middle Eastern Moslem countries joined in a prosperous and harmonious whole. They send not only food, but, ignorant of the conditions in MAG, blankets—there are hundreds of these useless items stockpiled, and track suits, and some weapons, to keep the insurrection in North America alive and America divided. In Camp Patience, some few young people are selected and mentored, by a very charming and sophisticated man, Albert Gaines, who is looking for a few “special people.” Gaines gives Sarat books, rare foods, and some indoctrination. During a massacre at Camp Patience, Sarat loses more family and friends. Suspected of insurrectionist tendencies, she is seized and taken to the Sugarloaf Detention Facility, a man-made island that had been a Florida Key, and there tortured for years. When she is released we will learn whether she is one of those who will forgive her enemies or whether the camps, the slaughter, the waterboarding, created an implacable terrorist, bent on revenge. Anyone who watches the evening news knows the answer.